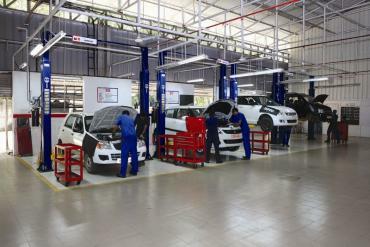 Maruti Suzuki has launched a 'car servicing at night' initiative at nine of its service centres. Night operations have commenced at workshops in Gurgaon, Sahibabad, Bangalore, Mangalore and Bhubaneshwar. The service will cater to customers who are busy during the day, especially those whose vehicles are part of cab-aggregators like Uber and Ola. It will enable them to get their vehicles serviced or repaired during the night, thus reducing their downtime. There will not be any extra charge for those opting to get their vehicles serviced at night. In case of delays, the customer will be offered a loaner car. Maruti Suzuki claims to have trained workshop teams for night operations and handling emergencies at night time. The service advisor will not call or disturb the customer at night. The company also claims to have taken appropriate permissions and is complying with the laws that are in place to conduct night shifts at workshops.